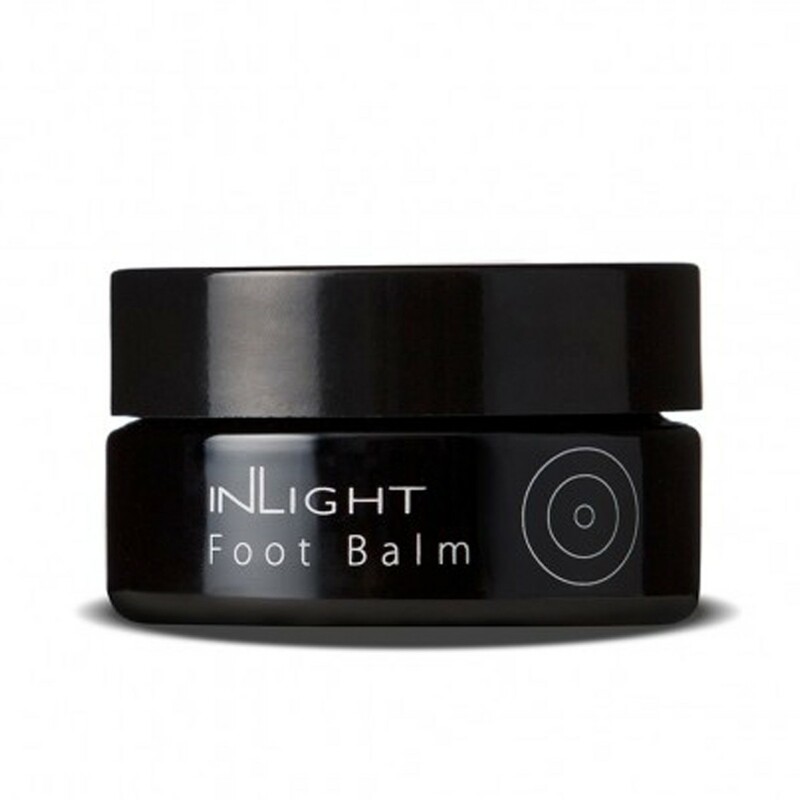 Inlight’s Foot Balm contains witch hazel and cypress whose vasco tonic and astringent properties act together with the healing and cytophylactic qualities of marigold, lavender and plantain to restore, calm and tone. The particular combination of ingredients makes this balm ideal for both foot and leg massage, to promote better circulation and to support weak veins. Also ideal on dry or cracked heels and feet. exquisite, multi-tasking, aromatic balm to revive tired, aching feet and legs, melt away dry, rough skin and improve circulation. Uplifting and soothing with gentle lavender fragrance. Star ingredients: hazelnut oil, rosemary and calendula.